Some economists quickly pointed out a key statistic from the report, which may have directly caused the decrease in the national jobless rate: the country’s civilian labor force diminished considerably, declining by 312,000. As a result, the United States recorded its lowest labor force participation rate since August 1978 – 63.2 percent. Although non-farm payroll employment continued to rise, as it has every month since March 2010, the BLS’ recently published job creation figures were lower than many economists had anticipated as some experts predicted at least 180,000 jobs would be added to the economy. Furthermore, the total number of employed residents fell to 144.2 million, a decrease of 115,000, in comparison to July’s finalized data. Thus, the employment-population ratio also weakened, from 58.7 to 58.6 percent, the second-lowest rate of the year. With these changes, some economists believe the decline in the nation’s unemployment rate was a by-product of Americans giving up on their job searches. After all, 11.3 million Americans were without work last month and 4.3 million of these individuals have been unemployed for at least 27 weeks, 37.9 percent of the total jobless population. Without a doubt, the report was not as encouraging as some economists had hoped for, but it was not entirely disappointing either. The White House reported that, with August’s employment data included, 7.5 million private sector jobs have been created since March 2010. In addition, the total number of Americans working part-time for economic reasons fell to 7.9 million, a decrease of 334,000, typically an indication of hiring and economic progress. Since August 2012, the nation’s jobless rate has decreased by 0.8 percent, while the total number of unemployed Americans has diminished noticeably, by 1.2 million. On the other hand, total employment has upturned by roughly 2 million during that same timespan. In the meantime, American employees’ hours and earnings each increased last month. Average weekly hours rose to 34.5, while average hourly and weekly earnings augmented to $24.05 and $829.73, respectively, showing an additional sign that while growth may not be as robust as hoped for, the national economy is gradually improving. Last month, the public sector reported its first monthly net gain in employment of 2013, as hiring increased slightly, rising by 1,000. The news was certainly welcomed, but some economists were unsure if such progress would continue in August. Yet, as a surprise to many financial experts, August’s public sector employment statistics substantially exceeded July’s data, as the government reported a net gain of 17,000 jobs, according to the BLS’ “The Employment Situation” report. This number was largely attributed to the hiring of teachers ahead of the school year, and the real test of positive sector growth will be seen in the coming months. The private sector also reported positive findings, as hiring upturned for the 42nd successive month, rising by 152,000. Once again, employment was wide-ranging, with a majority of sectors, including the following, recording net job gains. Healthcare: Total sector employment continued to upsurge in August, rising by 32,700, as 14.6 million professionals were actively working. As usual, ambulatory healthcare services accounted for most of the hiring, 26,600 new jobs in all, while nursing care facilities employment rose by 3,400. Manufacturing: After recording a net loss of 17,000 jobs from March to June, sector employment has rebounded lately. 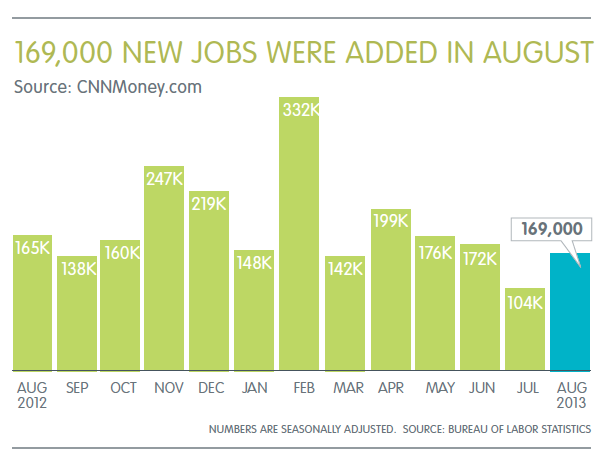 Not only did the industry verify a gain of 3,000 new jobs in July, but it also added 14,000 new jobs to the economy in August, the highest monthly total since February. Professional and Business Services: Another consistent job creator, total sector employment rose by 23,000 last month, as 18.6 million workers were employed. In particular, professional and technical services reported strong gains, adding 10,900 new jobs to the economy. Temporary Help Services: Last month, 13,100 employees were added to payrolls within the industry, as total employment upturned for the seventh straight month. 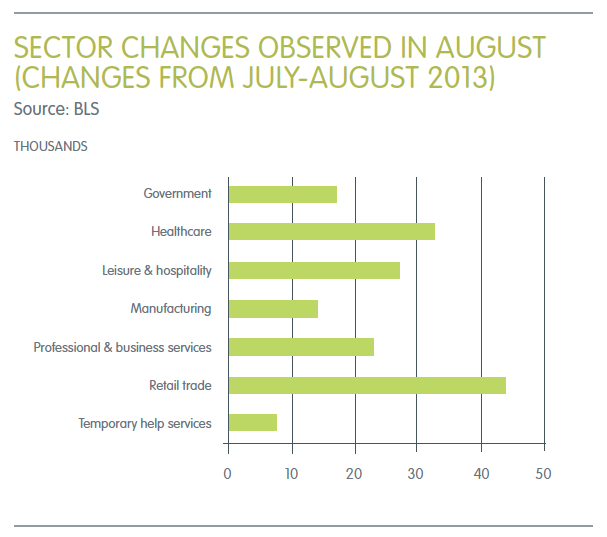 181,700 new jobs have been generated within the sector since August 2012. 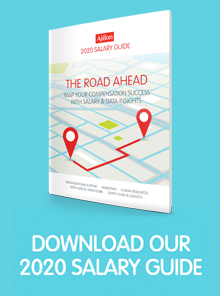 HR leaders today face challenges in making the most of their human capital investment. In order for organizations to be successful in today’s environment, HR will need to review and redesign professional tools and processes to be able to measure data and facts to ensure a competitive edge. HR leaders are challenged today more than ever to make sound business decisions. For us and our leadership teams to make decisions, we need to have correct data and facts. But, we continue to struggle with the answer to, “What should we measure?”. Historically, we have measured areas such as cost per hire, absenteeism, benefit cost per employee, and turnover rate. While these have been important, we should consider the future of our human capital investment and measure the areas that help us make decisions for today and growing into tomorrow. Is Workplace Surveillance the secret to boosting productivity? Your employees may hate it, but new research says monitoring employees has some major advantages that companies may not be able to ignore. Perhaps not surprisingly, employees who are under surveillance are less likely to steal. More interesting: They’re also more productive. That’s according to new research from NCR, a firm that creates software to monitor employees during point-of-sale transactions. The researchers compiled two years worth of theft and sales data from 392 restaurants that had installed software from NCR. Their analysis showed that restaurants that used the software had a 22% drop in theft and a revenue increase of 7%.